International investors have already begun to recalculate their plans for investment in parts of Europe and soon East Asia as well. The reluctance of the present American administration and numerous ones in Europe, to recognize that events on the ground has to change their computation in dealing with Russia, does not really matter. Cold War II has now commenced. 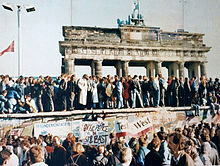 The First Cold War lasted from the late 1940’s to the late 1980’s. It is uncertain how long this new phase in international relations will last. The intensity and enlargement of this new cooling will depend on China. Will the Chinese decide to push the envelope over their claims of sovereignty in the islands dispute with neighboring countries in the seas bordering their territory? Japan and China’s other neighbors are watching the events in the Ukraine and the Western response anxiously. If the Chinese do not take action the new confrontation between West and East will be mostly confined to Europe. 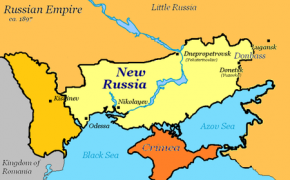 The ability to slice off territory in Georgia in 2008 and 2009 in the Caucasus and the take over of Crimea emboldened the Russian leader Putin to go for even more territory. Despite the criticism of the American President and his lack of resolve in dealing with this new international crisis, he is right as far as the actions of Russia having consequences. In the European capitals of Eastern Europe once the former satellites and republics of the old Soviet Union further accommodation with Russia as a policy has now been totally discredited. Instead they are demanding more action from the United States and NATO (North Atlantic Treaty Organization) to show more resolve in dealing with Russian aggression. There are a number of analysts that insist that President Putin has a goal to disband NATO. Since this organization had a hand in the dissolution of the Soviet Union it would be a stellar achievement of his to have it unravel. He has stated publicly that he considers the dissolution of the Soviet Union as the greatest geopolitical disaster of the 20th century. If the breakup of NATO is the new Russian foreign policy it will fail. One only has to look at actions being taken in Poland to realize that Putin has overplayed his hand. The Polish government is taking steps to militarily resist Russian aggression in this area of Eastern Europe. 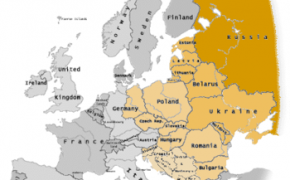 Poland unlike the Baltic Republics could make a Russian military thrust into Europe costly. There has been much criticism about the tepid American response in support of the Baltics with the small contingent of forces and fighter planes being sent there. However, they miss the point. Article 5 of the NATO treaty states that an attack on one member nation is an attack on all. 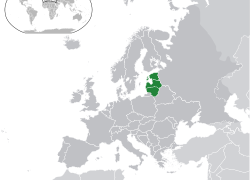 The United States and Europe will be forced to defend the Baltic states of Estonia, Latvia and Lithuania. An incursion here is a military tripwire. The American reluctance to defend the Baltic nations will be drowned out by the European insistence that it must be done. 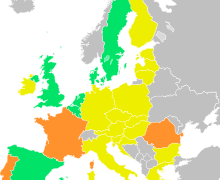 European leaders in Western Europe do not want Russian troops marching into member states of the European Union. It is bad for business and investment if nothing else. The American Vice President has been sent to Kiev, the Ukrainian capital to reassure the beleaguered country of Western support but he is in the wrong capital. Where the line will be drawn is not there but in Berlin, the German capital. The Germans are continuing to assess the economic price that will need to be paid to resist further Russian aggression. 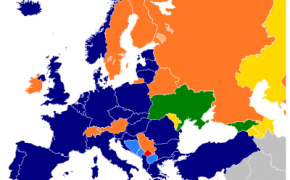 It is now clear that the policy of not extending the borders of NATO and the EU (European Union) to the borders of Russia was a mistake. One that could be rectified in the future. A simple European announcement to that effect would indicate to Russia that Europe will no longer be intimidated by Russian military moves. It will also brush aside the idea that Ukraine and even Georgia are accepted to be part of the Russian sphere of influence. 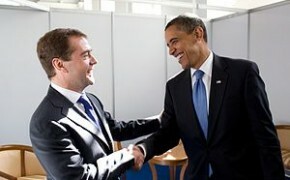 The famous Reset Policy towards Russia by the Obama Administration in the United States has now been totally disavowed. 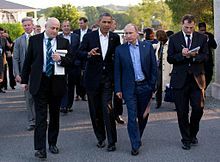 There is no insistence any more that if the Americans had not allowed former satellites and republics of the Soviet Union to enter Western institutions; that Putin would be more restrained in his present course of action. The steady decline in defense spending by the Europeans will now be reversed as the new reality works its way through the political process of elections. It is also unlikely that the American government will be able to move forward with major cuts in defense spending either. Regardless of what President Obama would prefer the elections of 2014 will change the calculus in the United States. The coming Republican Party victory in both Houses of Congress will make the last two years of his Administration more centrist and conservative in the foreign policy arena. One possible explanation for the rapid moves by Putin in Eastern Europe is his awareness of the shortness of time that is available to him as well. A new American President especially a conservative one may prove to be more forceful in dealing with Russian adventurism. The present policy of not antagonizing Russia even further, may well be totally abandoned by the American government in 2017. The continuing postponement of the Keystone Pipe Line but the approval of the LNG (Liquefied Natural Gas) plants in the United States gives the Europeans the message that domestic politics still triumphs American foreign policy interests. Surely, neither initiative will make a difference in the short term, but long term projects like these would lessen European dependence on Russian energy exports. This would in turn, free Europe from being almost hostage to Russian exports of oil and more importantly natural gas. Any move by the United States to ramp up energy production, especially for export to the European market, would send a signal to Russian imperialists. The message would be that the price for Russian military adventures is going to be higher in the future. Russian financial dependence on fossil fuel exports for hard currency is well known. To be sure Russia is already paying the cost for enlargement. The military cost of keeping 50,000 troops on alert is just the beginning. The Russian currency, the ruble has taken a major hit. The Russian stock market has also been battered by the continuing crisis in Ukraine. Putin is also not being honest with the Russian people. Adding territory and pride to the nation will actually make them poorer in the long run. Foreign investors will hesitate to invest in Russia for years to come. They are also less likely to invest in the “near abroad” of Russia. The result will be less wealth creation in the region. So along with the new military border between the West and East there will be an economic one as well. The emerging markets of Eastern Europe will see international investment decline as well as the uncertainty of the political and military situation in the area continues. Those nations in the EU will see many of those economic costs mitigated by their membership in the organization. Countries outside the bloc will see their economies sputtering. 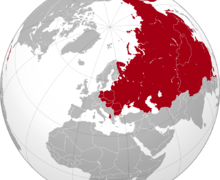 Former republics of the Soviet Union may continue to wish to join the Europeans in more trade agreements and economic relationships. It will be difficult for Russia to forestall all of them. If Russia attempts to capture more territory that made up the former Soviet Union it will find that conquering is easier than ruling. If there is not a sizable Russian minority as there is in parts of Ukraine, the Baltics or even in northern Kazakhstan then the Russian army is in reality an occupation force. If Putin plans to reconstitute the Soviet Union in a truncated form he will find that resistance will stiffen the further he goes beyond Russia’s borders. Russia will become an international pariah. Even nations traditionally sympathetic to Russia will find it difficult to render political and economic assistance. Politicians in the West will find any affinity for Russia to be unpopular. Therefore, such ideas will not be entertained to any real length as part of the public discourse. If Putin is like any other world leader there is a certain satisfaction to be powerful at home and influential abroad. As he finds himself denied to more and more Western and world organizations the prestige of Russia and his pride will be denigrated. To have politicians in the West insisting he and the Russian people don’t care is not entirely correct. There is no doubt that as the Europeans and Americans weigh the economic costs of resistance to Russian aggression Putin will be doing the same in Moscow. The situation at present remains quite fluid but there is now a new image of Russia not only in Europe but the world at large. For many individuals and nations it is a frightening one.